ATG’s selection of highlights sold at auctions this week, including a model tree taken from the Chinese emperor's Summer Palace. 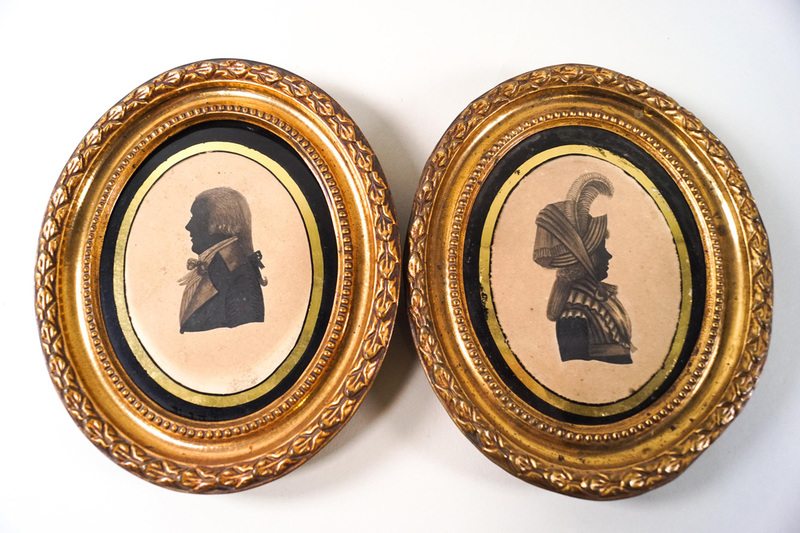 This handsome pair of late pen and ink silhouettes in original gilt metal frames sold for an unexpected £1000 (plus 15% buyer’s premium) at Mendip Auction Rooms in Binegar, Somerset, won October 6. Quality and attractive subject matter were part of their appeal but so too were the inscriptions to the reverse. One was inscribed on back board of frame P. Wheeler, Profilest to ye princesses, Pound St, Windsor, August 6th 1795 while the other included the names of the sitters (now indistinct) and their marriage in Bath in c.1796. This 18th century casket, sold by Mallams in Abingdon for £6000 (plus buyer’s premium) on October 8. 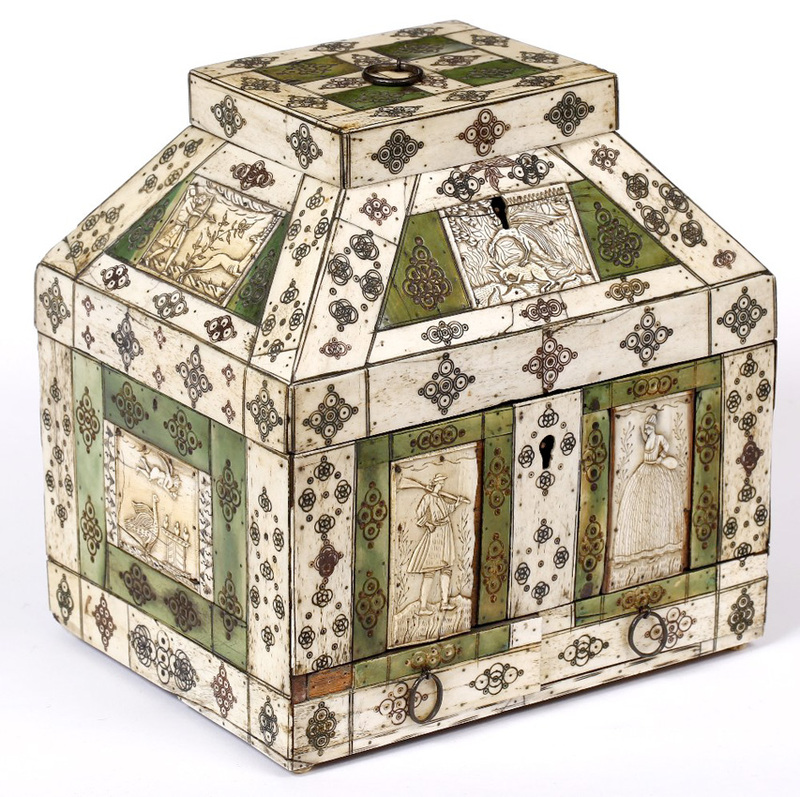 This 18th century casket, sold by Mallams in Abingdon for £6000 (plus 24% buyer’s premium inc. VAT) on October 8, is of a type commonly associated with the Russian village of Kholmogory. This small settlement in the mouth of the northern Dvina has been a centre of tsevka (cattle bone), walrus tusk and mammoth ivory carving since the medieval period. The 9in (23cm) wide casket includes both natural and stained bone panels depicting a range of country hunting scenes. A small oval silver medal designed with a scene of an assembled Parliament designed by the English medallist Thomas Simon (c.1623-65). Only six examples are known although one of them was offered for sale by Dix Noonan Webb October 3 where it sold at a triple-estimate £8000 (plus buyer’s premium). This medal tells a little-known moment in the history of the English Civil War. In 1648, following a revolt in the Parliamentary fleet, a number of ships went to Helvoetsluys in the western Netherlands and were organised as a royalist squadron by Prince Rupert. Subsequently Rupert took most of the fleet to Ireland, although he left behind two vessels including the 450-ton Antelope. In April 1649 the Council of State ordered its destruction - an expedition completed under the command of Lt Stephen Rose who successfully surprised and burnt the vessel as she lay at anchor, in violation of Dutch territorial waters. 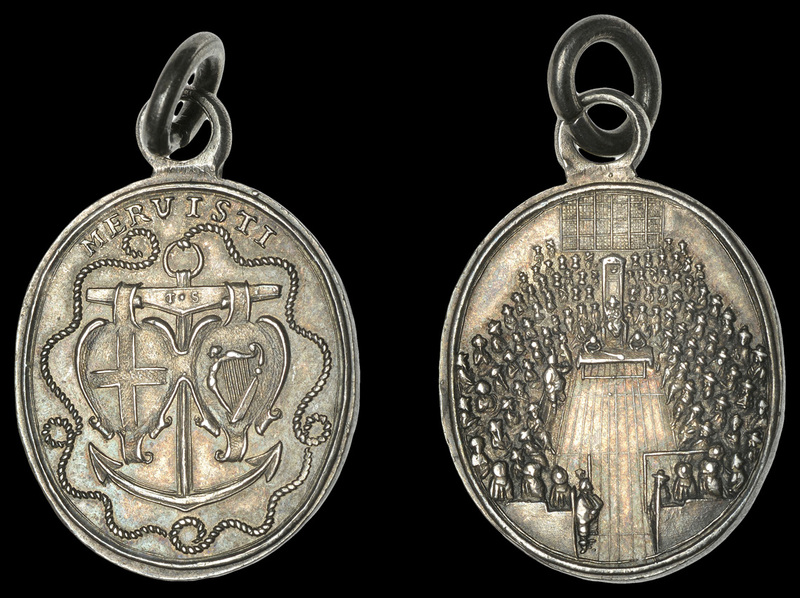 Those who participated in the exploit were rewarded with cash prizes and a small oval silver medal designed with a scene of an assembled Parliament designed by the English medallist Thomas Simon (c.1623-65). Only six examples are known, although one of them was offered for sale by Dix Noonan Webb on October 3 where it sold at a triple-estimate £8000 (plus 20% buyer’s premium). Items with a connection to the sacking of the Old Summer Palace (Yuanming yuan) carry a controversial but ultimately compelling provenance. 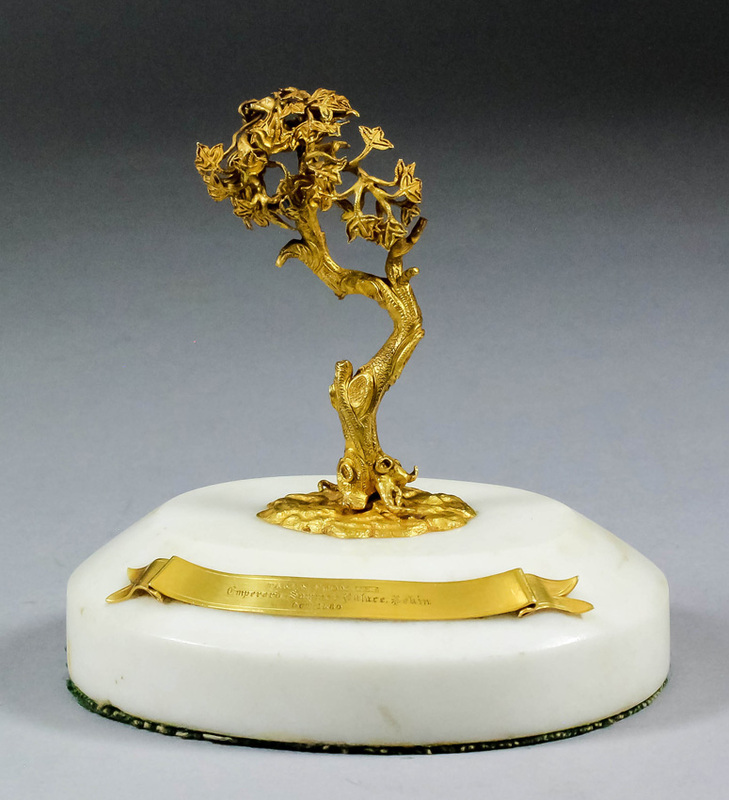 This small Qing gilt metal model of a tree, just 3in (7cm) high, is mounted on a Victorian white marble oval base with an applied gilt metal ribbon, inscribed Taken from the Emperor's Summer Palace, Pekin, Oct. 1860. According to Canterbury Auction Galleries, who sold it on October 4, it came by descent from the family of Edmund Ward, a 1st lieutenant in the Bengal Fusiliers and Lieutenant Ellis B Ward of the Punjab Pioneers. During 1860, both brothers served with the 15th Punjab Infantry (also known as 15th Ludhiana Sikhs) and letters sent home to their father, Rev Randall Ward, Bishop of Calcutta, state both were involved with capture of the Summer Palace. The multi-estimate selling price in Canterbury was £26,000 (plus 20% buyer’s premium). A large printed and hand-painted cotton Palampore chintz panel sold for £17,000 (plus 25% buyer’s premium) Kerry Taylor Auctions in London. 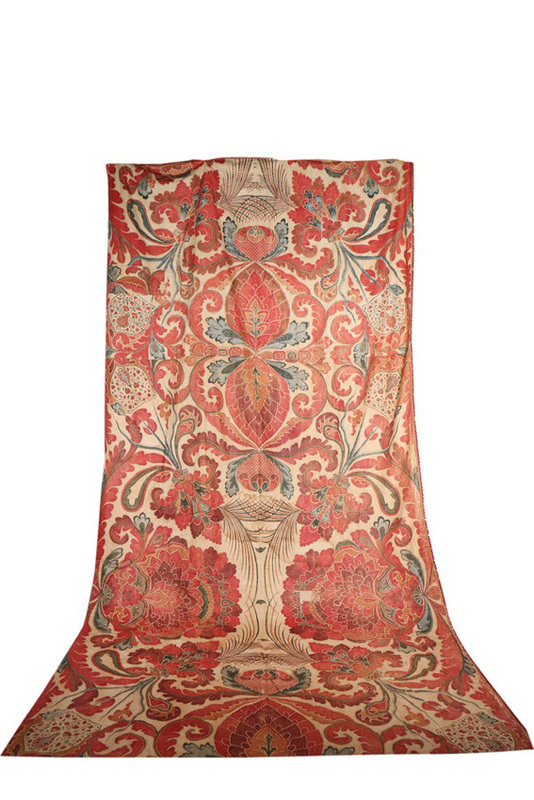 Leading the fashion and textiles sale at Kerry Taylor Auctions in London on October 8 was this large printed and hand-painted cotton Palampore chintz panel. Made in India in the early 18th century, a near-identical piece resides in the collection of the Victoria and Albert Museum, with others in the Rijksmuseum. Although it had suffered down the centuries with tears, splits and repairs, the 4.12 x 2.06m panel was still deemed a museum-quality item and one valued considerably higher than the £200-300. A flurry of bids via the phone, internet and in the room pushed it to the highest price of the day, £17,000 (plus 25% buyer’s premium).